Hunting for Easter eggs? 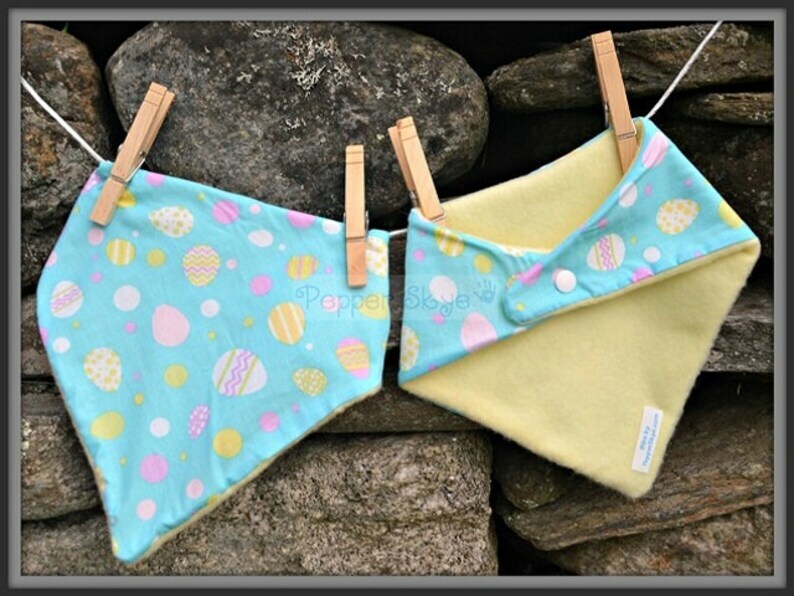 This bib has multi-colored Easter eggs on a teal background. The backing is a soft yellow fleece with a white, plastic snap to fasten. Happy Easter!